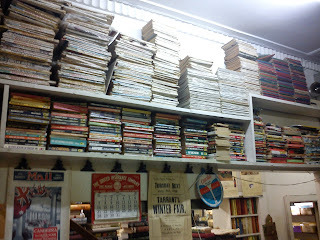 I spent Saturday afternoon book hunting. Unfortunately I didn't find any new books, but it was great to go hunting again and speak to some second hand bookshop owners. 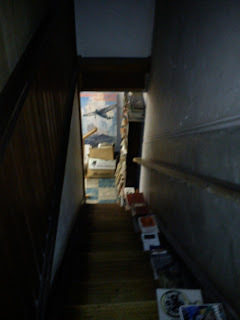 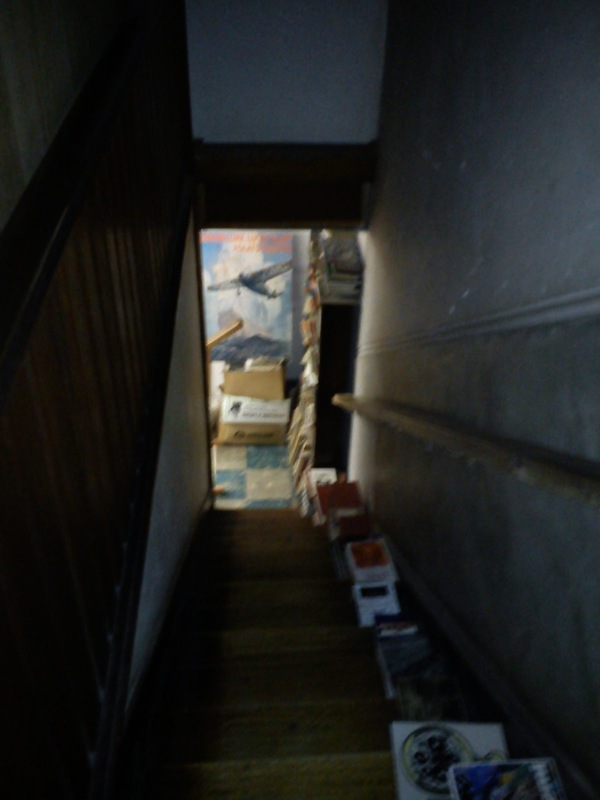 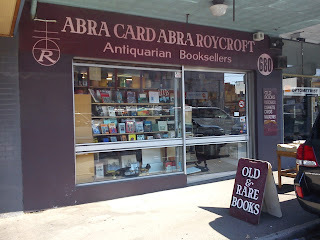 I know I visited Abra Card Abra Roycroft Antiquarian Booksellers back in January but this time I also managed to take some photos inside the store. 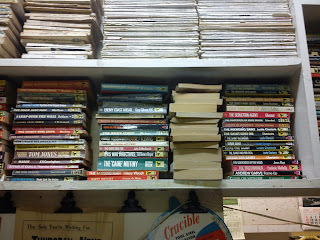 This store has heaps of old Pan Books including a few Bonds shown below. 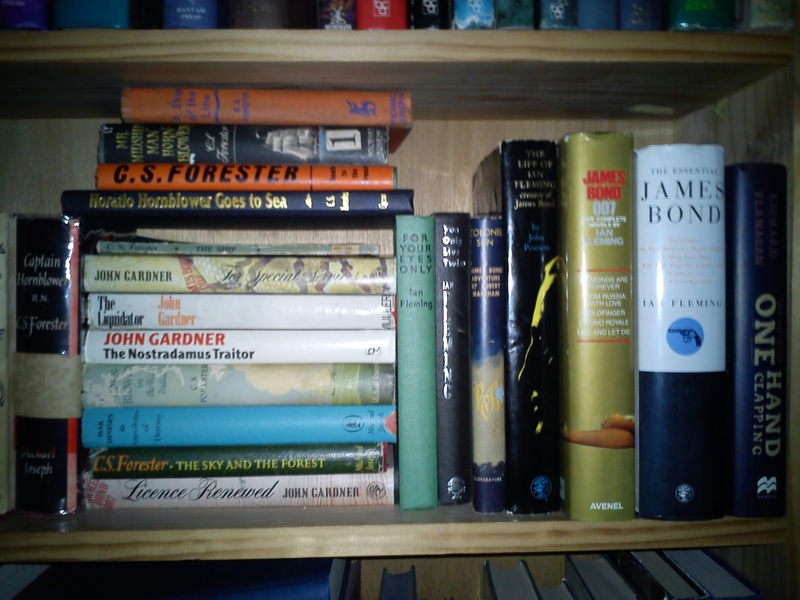 Upstairs there are Bond hardbacks as shown here. 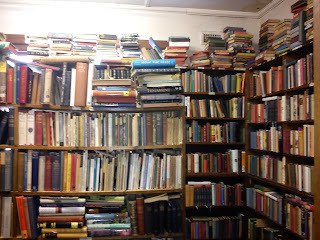 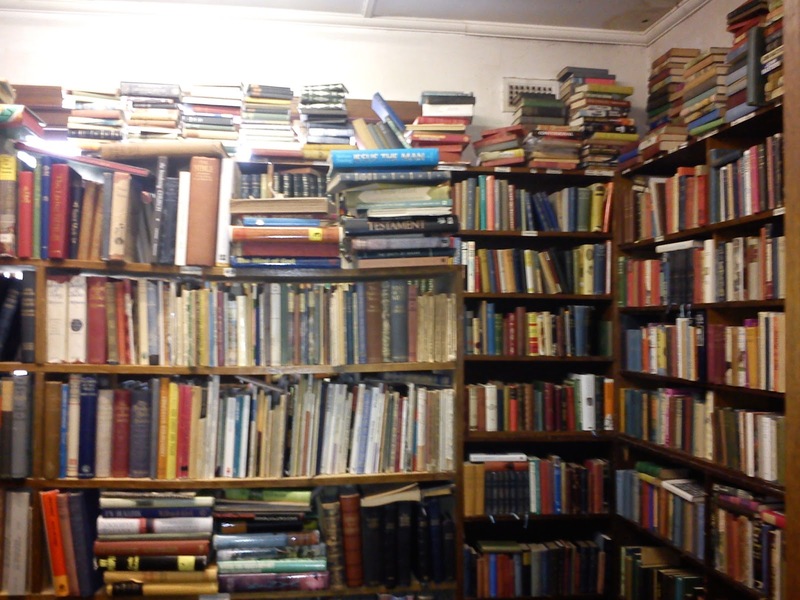 The back room featuring heaps more hardbacks on all different subjects. 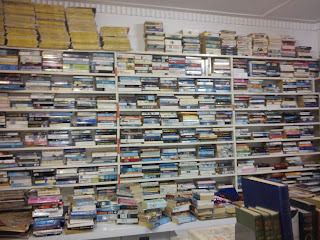 And finally another wall of paperbacks downstairs. 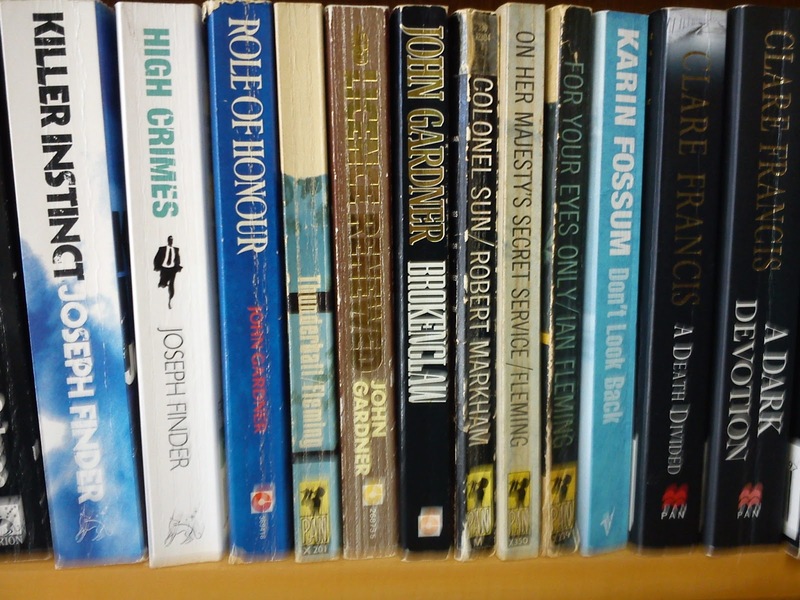 I couldn't see any Bonds here though. 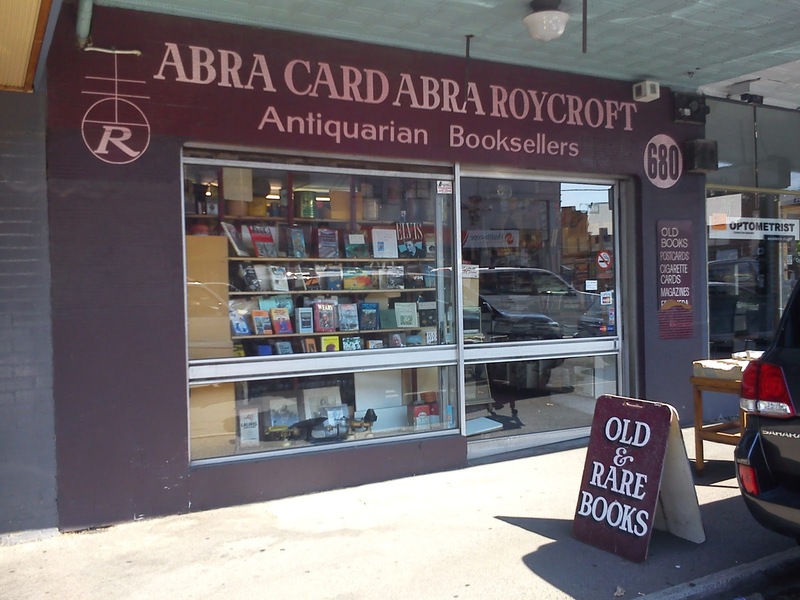 - Abra Card Abra Roycroft Antiquarian Booksellers (second hand) - approx 10 Bond paperbacks and 8 hardbacks. 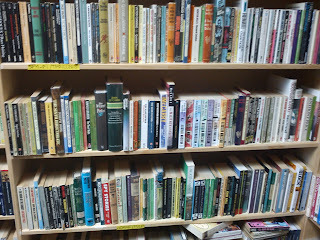 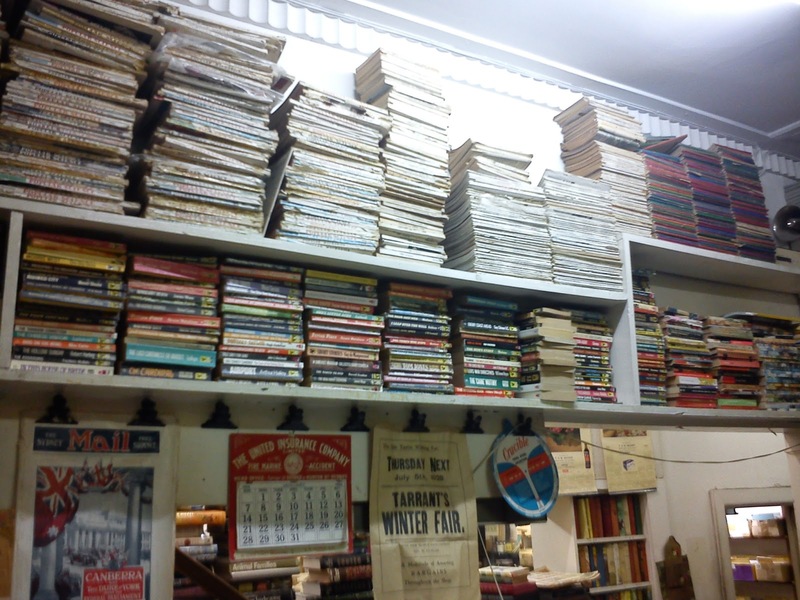 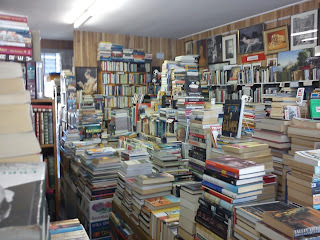 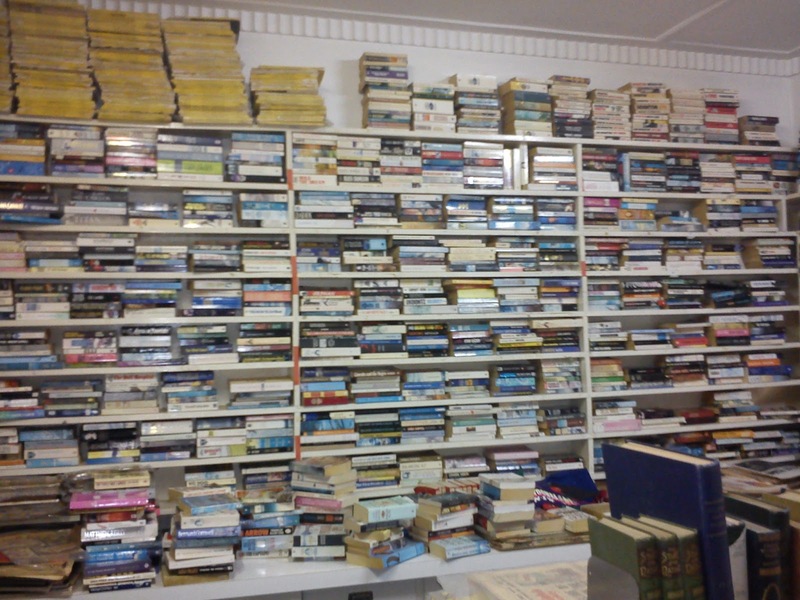 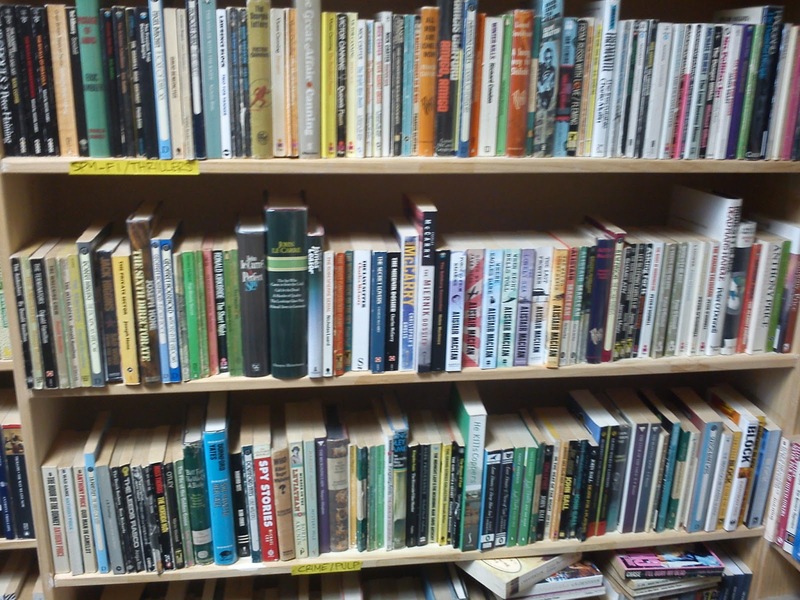 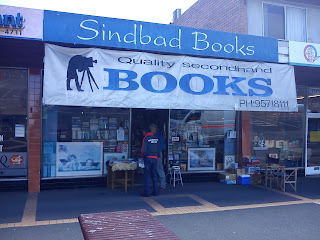 - Sinbad Books (second hand) - there's a pile of about 15 Bond paperbacks near the front counter. 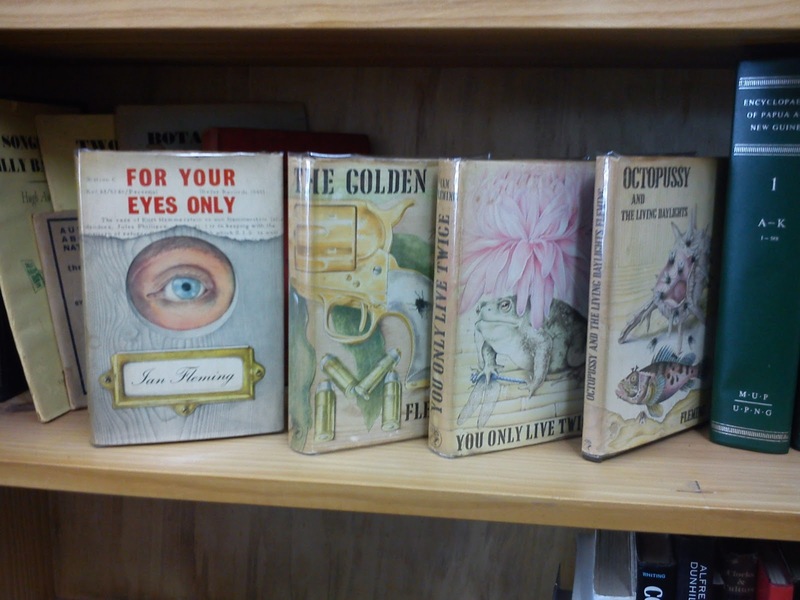 The owner explained how his favourite Ian Fleming Bond covers were the early Pan Books but even he finds them hard to find now. 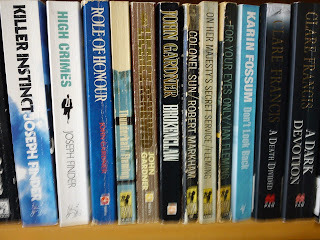 - Bound Words (second hand) - they only had a couple of Bond paperbacks however they did have the four Jonathan Capes above for sale. 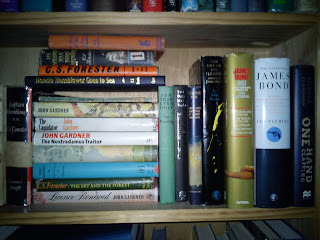 Almost all are first editions and reasonably priced. 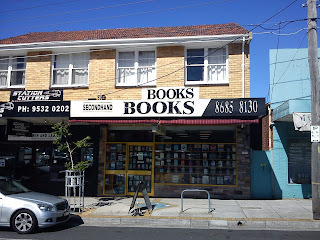 - Diversity Books (second hand) - I was surprised to find this store closed, the shop now occupied by a dance studio. 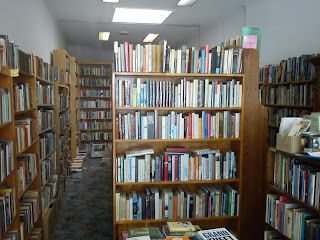 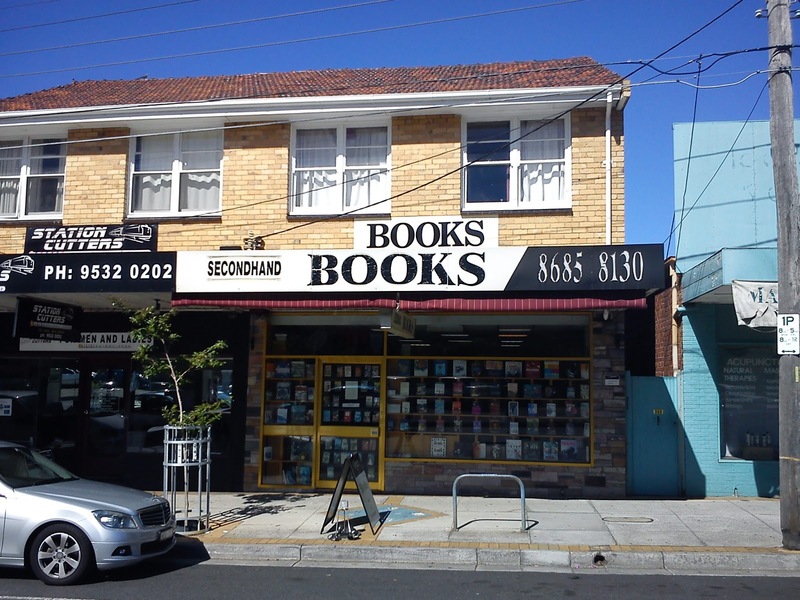 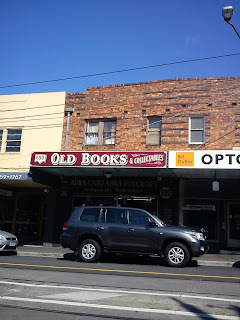 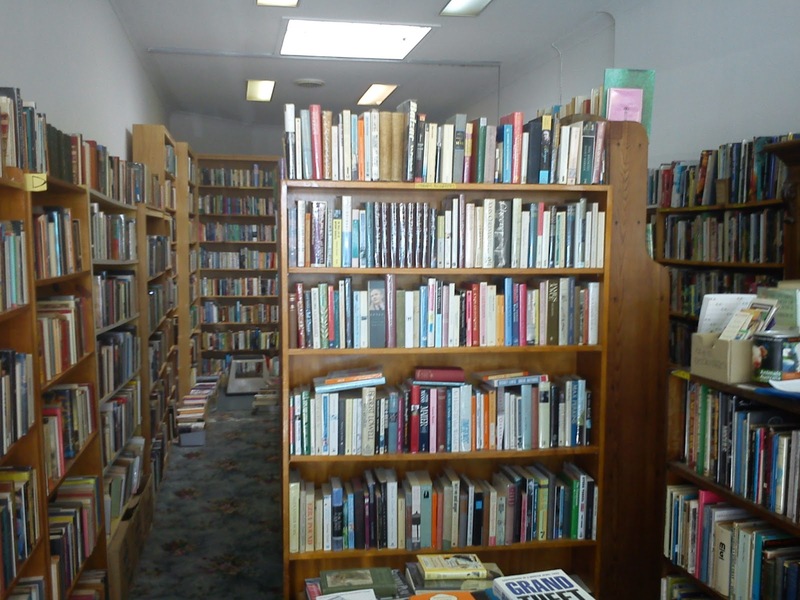 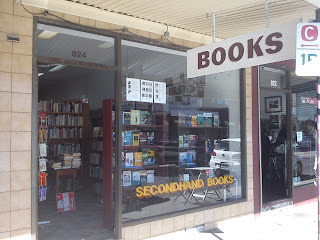 However after speaking to the owners of Thornbury Secondhand books (see bottom of this blog entry) I discovered this store still exists on the web. 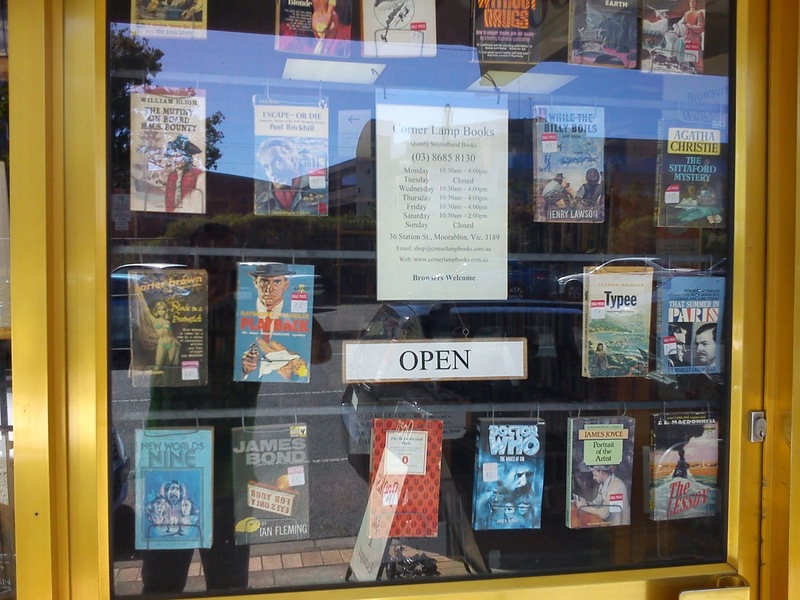 There's a copy of Pan "For Your Eyes Only" displayed in the shop window. 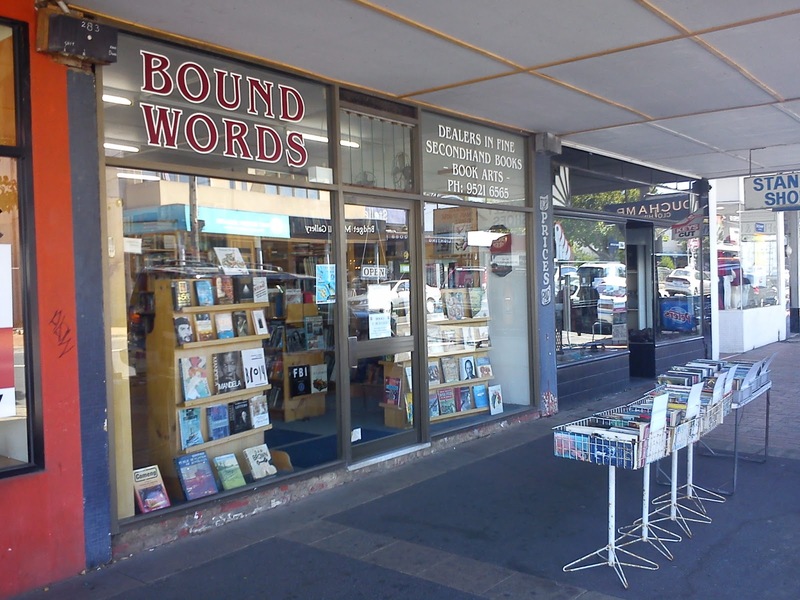 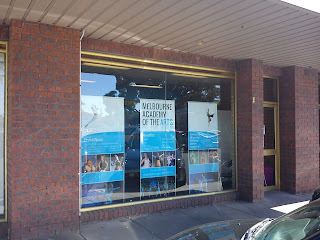 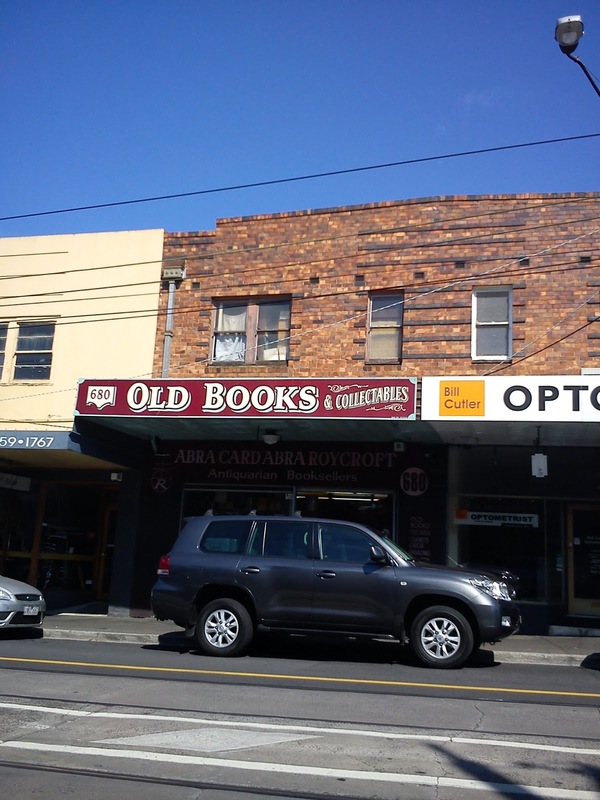 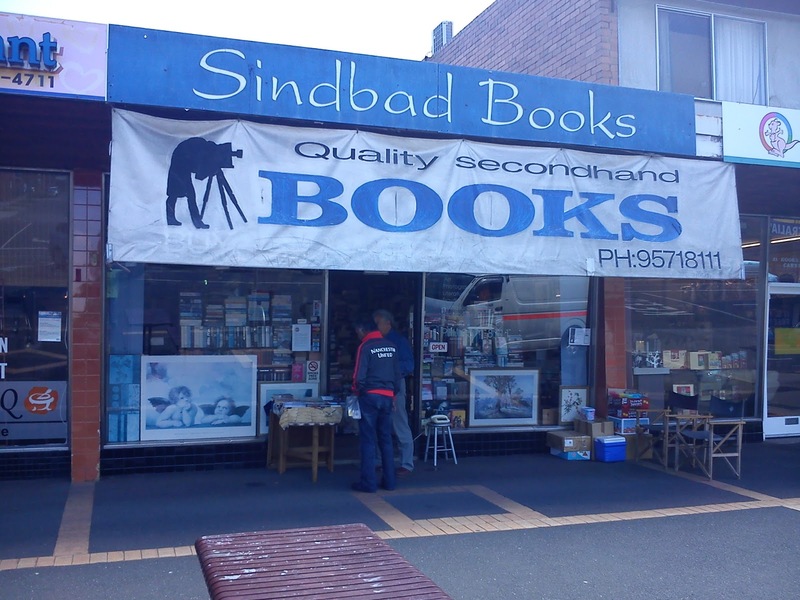 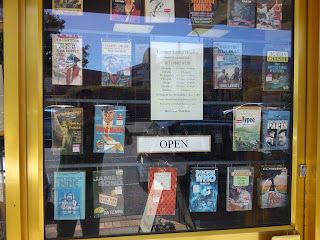 - Moorabbin Second Hand Books (second hand) - as well as the book in the window they also had the seven Bonds above. 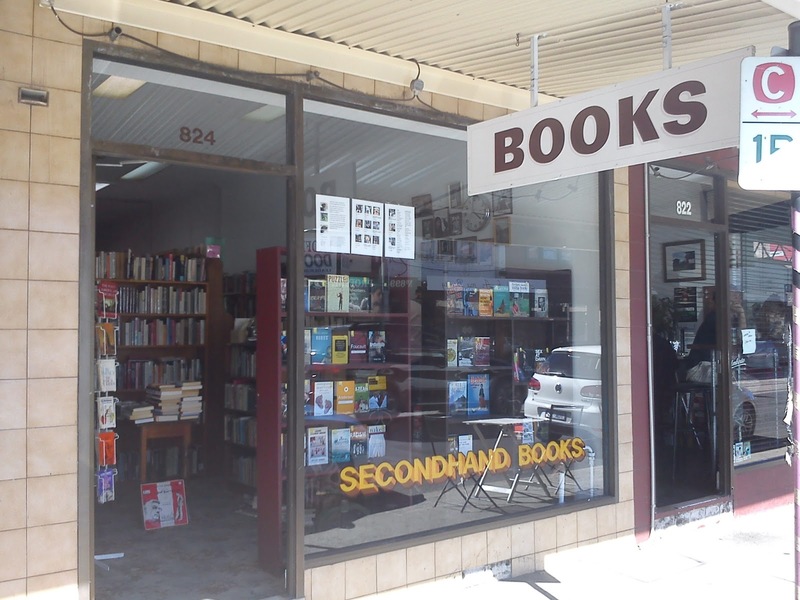 - Thornbury Second Hand Books (second hand) - Although this was the last store I visited I have to say I always enjoy visiting this store. 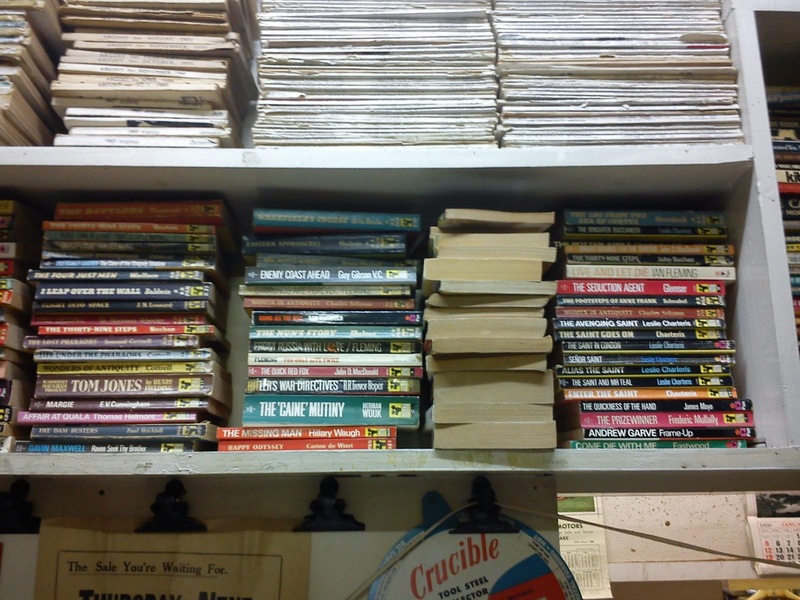 The owners are so enthusiastic about books, their store is so clean and organised and they've even setup a Spy Fiction section (they've shortened it to "Spy Fi") that included two Bond paperbacks.